Mediamatic and Crac (Stockholm) organize an exclusive workshop in Robotics and Artificial Intelligence. The workshop is result oriented, designed to provide the skills, knowledge and guidance to enable the participant to build her own robot. Crac has an interesting network of roboticians and engineers that are eager to spread their knowledge. They did a robotic workshop last year in Stockholm but want to share the fun with Mediamatic. Because Mediamatic is an expert in organizing interesting high-brow and geeky workshops this is a wonderful combination. In this workshop the trainers will show you how to put together the "internals", "brains" and "senses" of a robot. How to make things that move, react and interact. You will come out of the workshop with a framework that you can use for your own work and ideas. We will use Arduino boards to control servo motors, various sensors and solder and fabricate the core of the robot-to-be together. The workshop is hands-on, but you have to know or learn some basic electronics and programming. It is great if you have some previous experience in this area or have a strong affinity with electronics, designing and / or programming. If you are unsure about your knowledge you can contact workshop-coordinator Deborah Meibergen (see contact details below). Chandana Paul PhD in Computer Science, Artificial Intelligence Lab, the University of Zurich. Postdoctoral research at the Mechanical Engineering department, Cornell University. Also B.S in Brain and Cognitive Science, B.S and Master of Engineering in Computer Science and Electrical Engineering, MIT. Previously worked at the Centre for Autonomous Systems at the Royal Institute of Technology, Stockholm. 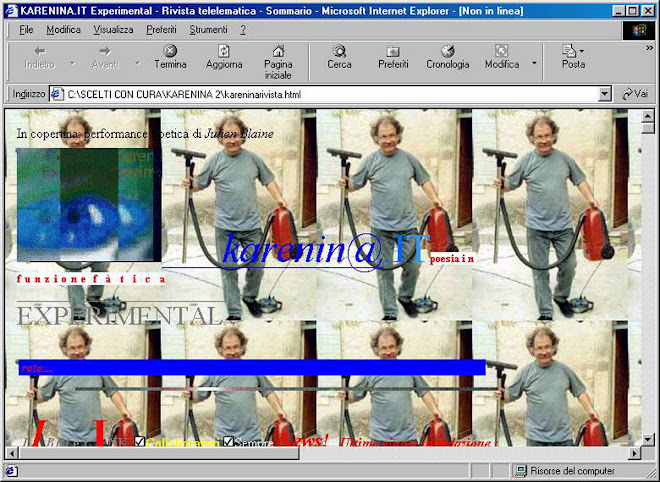 Alberto Frigo Media Artist and Designer. Awarded at Ars Electronica, The Japan Media Art Festival and Prix Mobius. Previously involved in Art and Technology education at Chalmers, Goteborg, and currently at the University College of Arts, Crafts and Design, Stockholm. Erik Sjodin Creative Engineer, Art & Technology programme, The Interactive Institute, Kista. Msc. in Media Technology and Engineering, Linkoping University. Previously taught physical computing and creative programming at the University College of Arts, Crafts and Design, Stockholm, and at the New Media Meeting, Norrkoping. The workshop is from May 15 - 17 from 10.00 - 18.00 hours. Location is the Mediamatic Bank exhibition space at Vijzelstraat 68, Amsterdam. Bring anything that you can imagine that you or someone else could construct a robot out of. Having material around will inspire your designs and you can trade materials with other participants. We will provide the basic materials. The more you bring, the better. You can even steal stuff from your kids! Or other appealing things you see laying around in the house or find on the street. Examples of useful materials are: Wire, thread, springs, aluminium pipes, cardboard, scraps of plastic, pieces of metal, wood, screws, cogs, wheels, rubber bands, glue, etc. Electronic devices and mechanical and electrical toys that sound, blinks, spin, vibrates etcetera. It can be trashed for parts. Maybe you even have some Meccano or Technics / Mindstorm Lego around? If so, please bring this!